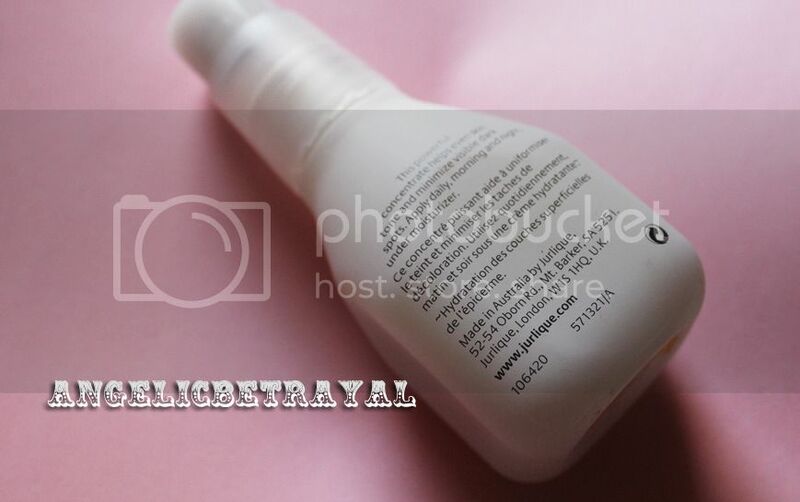 I edited the photos for this review quite some time ago when I was still using watermarks so please excuse the inconsistency (watermarks are now banished from the blog!). As someone who regularly experiences clogged pores, popped pimples and the scars that follow, I not only seek skincare products to reduce the severity of my acne but products to help my skin recover more effectively. At a Jurlique product launch event, I was introduced to their Purely Bright with VitaBrightKX Radiance Serum and given one to test out. I have been using the serum for over a month now so I have formulated my thoughts on this product and am ready to share them with you. - Helps reduce skin discolorations, brighten skin and inhibit melanin production. - 80% of women noticed improvements in hydration, skin radiance and felt their skin appeared healthier after 12 weeks of use. - 67% of women said their age spots appeared lightened after 12 weeks of use. You probably noticed that I highlighted an ingredient in red and I did that because I try to avoid skincare products with SD alcohol in them. It can be irritating and it dries out the skin. A lot of lightweight, easily absorbed skincare products contain SD alcohol as an ingredient. So far, I cannot feel any drying effects but with long term use the results may be different. Nonetheless there are a variety of oils and plant extracts as well as squalane which moisturizes the skin. 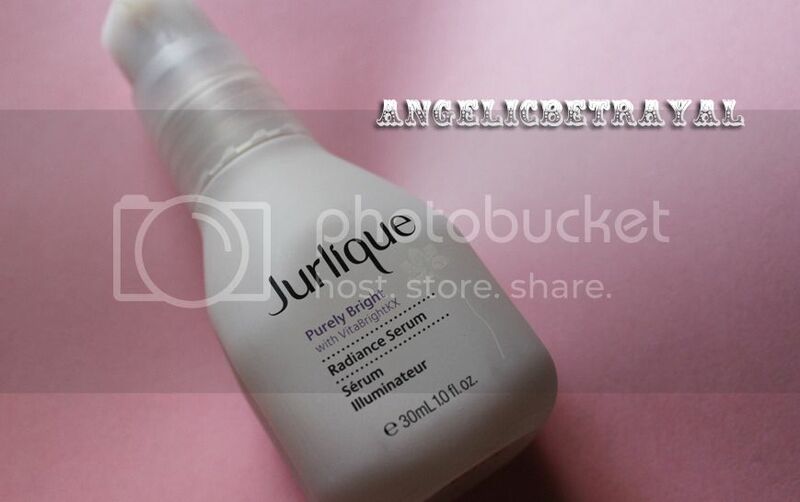 As with many brightening high end serums, the Jurlique Purely Bright Radiance Serum costs a pretty penny. The full size glass jar contains 30ml and retails for $58. I use two squirts on my face only at night after my toner and before my eye cream and moisturizer. I like to pat this all over my face and on my neck as well. The packaging is quite heavy due to the frosted glass jar. The plastic pump is easy to use and dispenses a fairly small amount. The pump also has a twist mechanism that locks to reduce spillage due to travel but I don't see this being a convenient product to travel with due to the glass and heaviness. The serum blends easily and absorbs quickly into the skin, leaving it refreshed. But does it give my skin a radiance and fade dark spots? To be frank, I can't be 100% certain that this helped fade my acne scars faster than they would have naturally but I think this helped a bit. For the last few weeks my skin has been looking more even than usual and I had a rather dark scar near my eyebrow where a pimple had popped which is now gone. In combination with my usual skincare routine, including a variety of masks and scrubs, this serum is a nice complementary product to help my skin even out. If you're comfortable with the price point and your skin needs some help reducing scars or dark spots, consider the Jurlique Purely Bright Radiance Serum. I think this serum has helped my skin but I just wish there was no denatured alcohol in the formula. If that does not bother you, then you might like this even more than me! What have you heard regarding whitening products? I've always heard rumors and myths but not sure how much evidence there is to back up the claims. I'm interested in what you know!